Zip around the historic streets and ancient traboules (alleyways) of Lyon on an action-packed 90-min Segway tour. 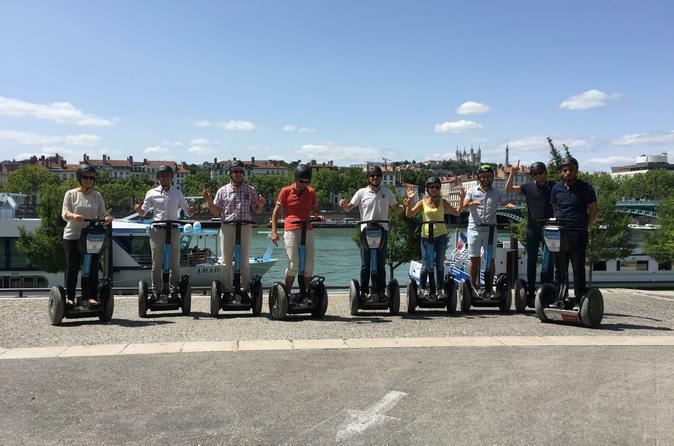 Learn to operate your easy-to-use self-balancing Segway, then follow your guide on a scenic tour around Vieux-Lyon (Old Town). Glide along the Rhône and Saône riverfronts; see Lyon landmarks like Hôtel Dieu, Place Bellecour and City Hall; and hop off along the way to snap photos. Best of all: small groups are limited to 6 people and full instruction is provided, so anyone can give it a go! Minimum age is 14 years old. Anyone under 16 must be accompanied by an adult.